Sailing Magazine has included a fine review of the Good Hope 65 in the Perry on Design feature in the October, 2018 issue. has been commissioned for an Irish client and will be built in Ireland. She will be tasked with doing offshore research and will have many features to facilitate that purpose. Her construction and outfitting will meet CE, MCA and Irish regulations for small passenger vessels. Featuring a proven fully retractable keel and rudder design, simple systems and a bombproof aluminum hull, The Good Hope 65 will be equally at home exploring shallow rivers or sailing far offshore. EVA and crew arrive in Maine waters after a vigorous shakedown cruise from Cape Town, up the west coast of Africa, across the Atlantic to the Bahamas and finally into the Gulf Stream for a boost up the United States east coast. Jeremy Bagshaw has written a feature article about Urchin’s shakedown sail in the March 2017 issue of Sailing Magazine – South Africa. 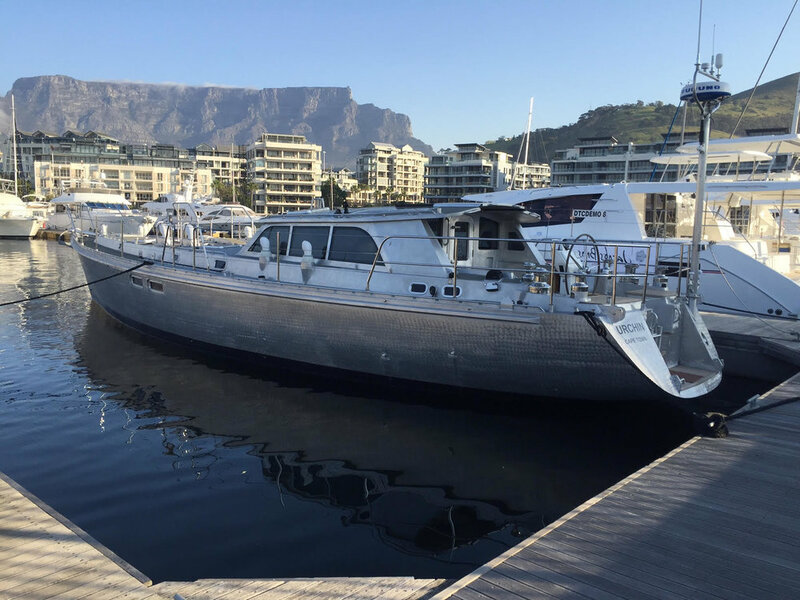 With the hull, deck and machinery completed by Jacobs Brothers and the interior built by the owners, Eva is the second Good Hope 56 to hit the waters of Cape Town in a month. Well done! A pair of Good Hope 56’s. That’s Urchin in the background. Jacobs Brothers has launched Urchin, the second Good Hope 56, in Cape Town. Sailing trials will commence in the next few weeks. She will be on display at the Cape Town International Boat Show October 14-16, 2016. Floating perfectly on her lines. Rig is in - sailing soon. Looking forward into the galley. The bright interior motif is white paint with inset doors and lovely blonde countertops. 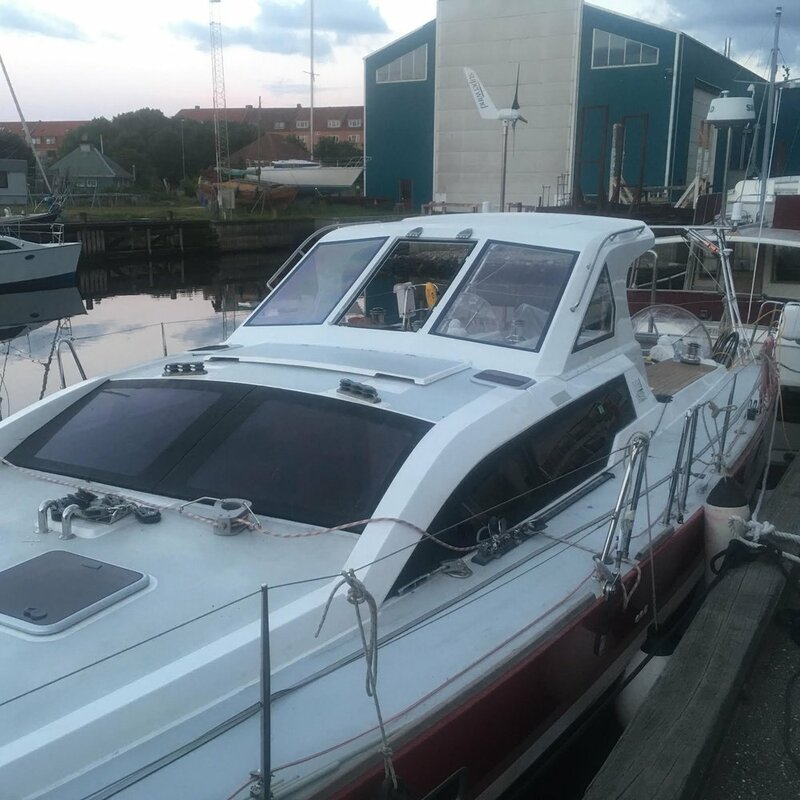 An owner of an RM1350 sailing yacht in Denmark asked us to design a hard dodger that would be functional, attaractive, and fit the style of his boat. He was quite happy with the the results. RM Yachts was very helpful by providing us with a 3D computer model of the deck so we were able to provide the builder with precise patterns for construction. It is good to see such excellent customer service. The dodger was built and installed by the craftsmen at Mathis Vaerft shipyard in Aalborg, Denmark. 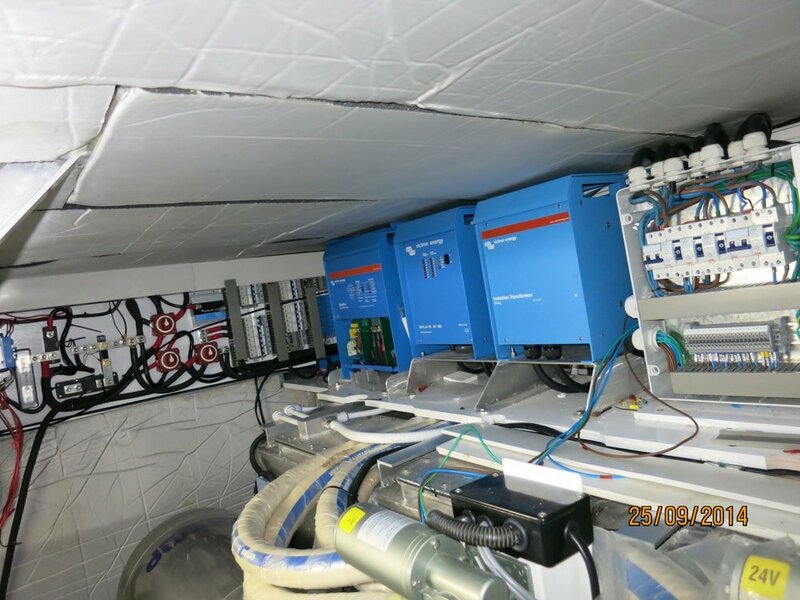 We were able to precisely model the dodger in 3D and connect it perfectly to the model generously provided by RM Yachts. The 3D information was also very helpful to the client. Care was taken to make sure the dodger follows the styling of the boat and looks like it was part of the original design. 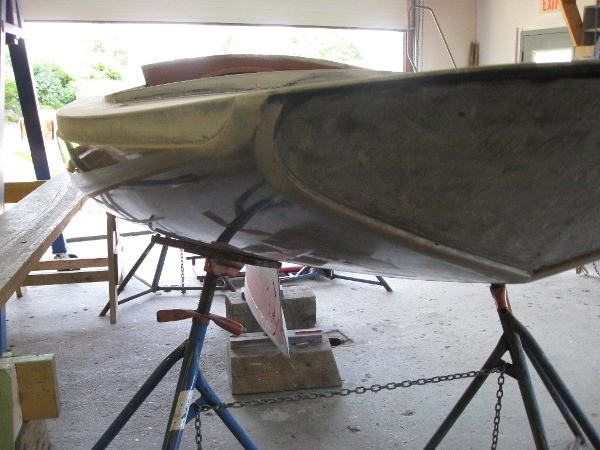 Seal is shown here taking advantage of the versatility offered by her lifting keel and rudder to dry out with the ebbing tide, check the zincs and inspect the bottom, and sail off with the return of the tide. Jacobs Brothers are making great progress on the second Good Hope 56. The pictures show an organized project well under way. In the galley looking forward. 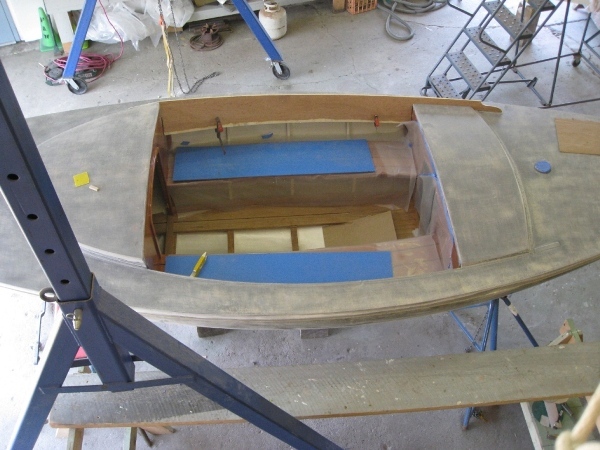 There is a large amount of storage with the upper cabinet mounted on the side of the keel case. The sturdy John Deere engine in place. High torque and low RPM make for a very efficient, reliable and long lasting propulsion system. 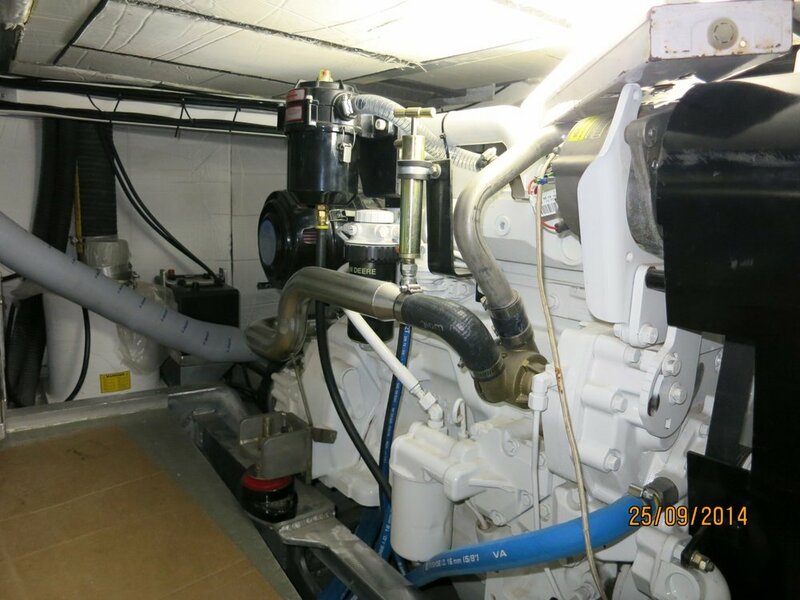 The engine room is spacious with good access to the equipment – a rare feature on a boat this small. Note the drip tray under the fuel filters. The fresh water distribution manifold is easily accessible. Attention to detail in locating such mundane items will make the boat a joy to maintain. The value will accrue over the long term when regular maintenance on items is actually carried out due to ease of access to the parts. Construction of the latest Good Hope 56 is progressing well at Jacobs Brothers. For many reasons turning the hull over is an exciting milestone in the progress of the build. Work will soon begin on the systems and interior carpentry. The hull of the latest Good Hope 56 is turned over. 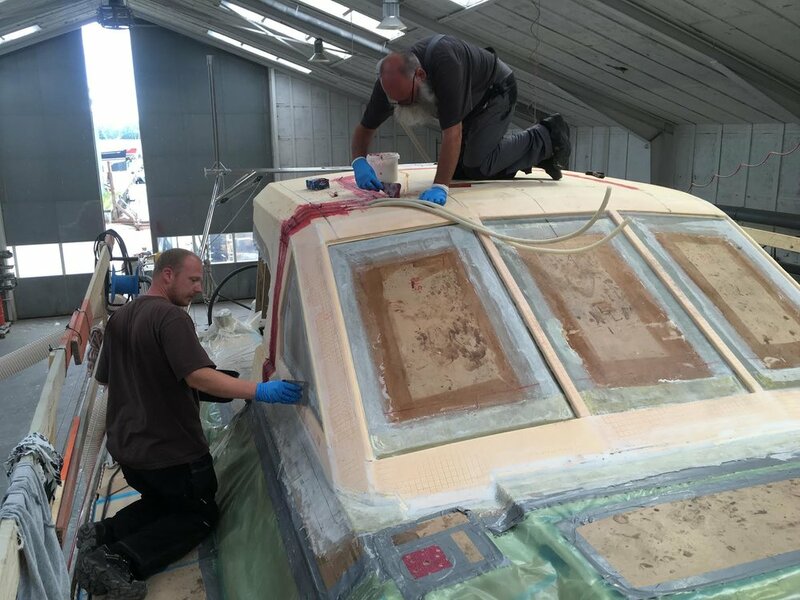 The handsome pilothouse of the Good Hope 56 takes shape. Lyman-Morse has featured the new Seguin 55 in their 2013 Chronicle newsletter. Click the link below. The sailing media has had some nice things to say about the Lyman-Morse Seguin 55. Check out these articles. 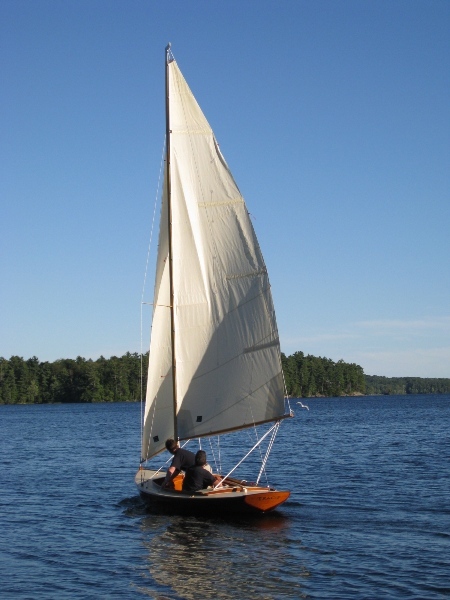 The 44′ French & Webb built sloop Gusto was originally steered with a tiller. Her new owner felt that a wheel would make her easier to handle while powering in reverse and would also make moving about in the cockpit easier. We decided to take advantage of an existing autopilot tiller arm that passed from the outboard rudder through the transom and into the lazarette. An Edson rack and pinion steerer was attached to the arm and an elegant box was built on the aft deck to house the mechanism. The owner is delighted with the outcome. The wheel is placed so as to minimally intrude into the cockpit area. It is easily reached from the comfy helm seat (for maximum visibility) or from the cockpit (for maximum shelter from the elements.) There is excellent feel to the helm and steering is effortless in all conditions due to the fully balanced rudder. The wheel barely pokes into the cockpit. It can be easily reached from the comfy helm seat or hunkered down on the cockpit bench. An elegant box hides the steering mechanism and provides a base for the throttle and VHF handset. The wheel hub can decouple the wheel from the shaft so it doesn’t spin when the autopilot is steering the boat. A momentous and happy occasion occurred Saturday evening when the graceful hull of the Muscongus Bay 18 met the waters of Damariscotta Lake for the first time. Andy Payor and his lovely wife Tracie, in whose honor the boat is named, entertained their family and friends with a delicious array of hors d’oeuvres and champagne. Bronze bow hardware. Note that the wale board is let into a recess in the carbon topsides. Custom tiller head designed by Andy Payor. Bending on the sails. The sail is contained on the boom with a hand made Dutchman type system. 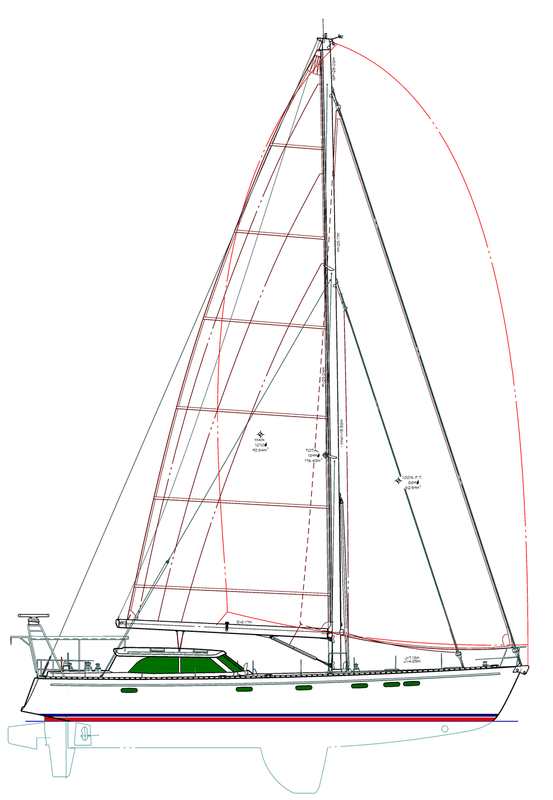 2mm Spectra lines are seized to the topping lift, woven through grommets in the sail, and terminated to bronze eye straps on the top of the boom. Annie Lannigan and the crew of the Paine designed and Kanter built TeMana celebrate a second place finish in the cruising division of the first annual Penobscot Bay Rendevous. The event was a complete success with great racing and boisterous parties, setting a high mark for subsequent events to exceed. Can’t wait till next year. Gusto charges for the finish line on a perfect day at the Eggemoggin Reach Regatta. 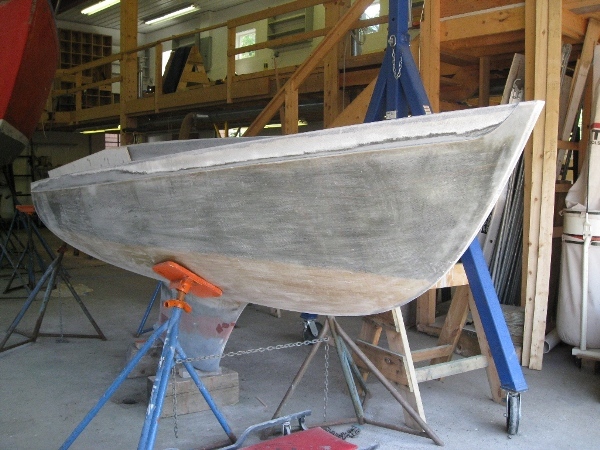 The ERR is the premiere wooden boat regatta on the United States east coast. The mixture of beautiful boats, spectacular Maine scenery and friendly competition makes for an event that is not to be missed by an enthusiast of any of the three. 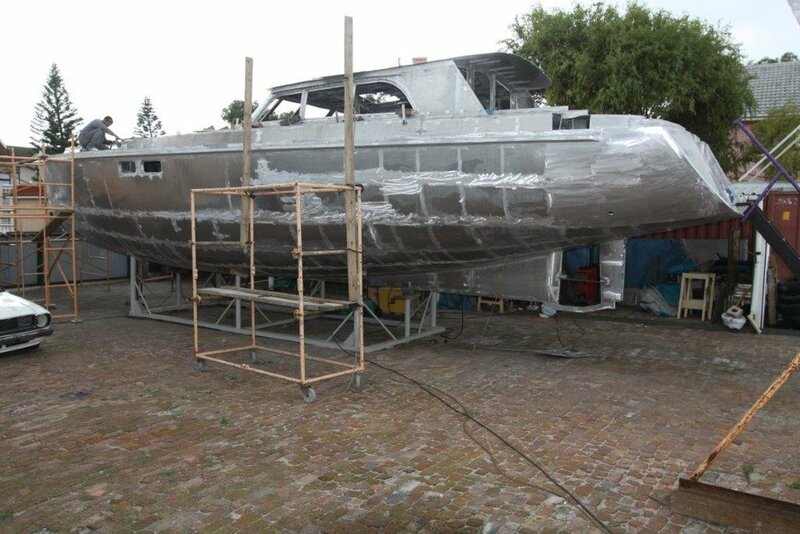 The Muscongus Bay 18 is now at French & Webb for final finishing and installation of her exterior joinerwork. The deck has been attached and covered with Dynel and the ballast has been fitted to the keel stub. Andy will get to enjoy her for a good part of this summer. Graceful even in her unfinished state. The varnished wale and transom will be skillfully set into recesses in the hull for a flush appearance similar to a wooden boat. A very comfortable cockpit. 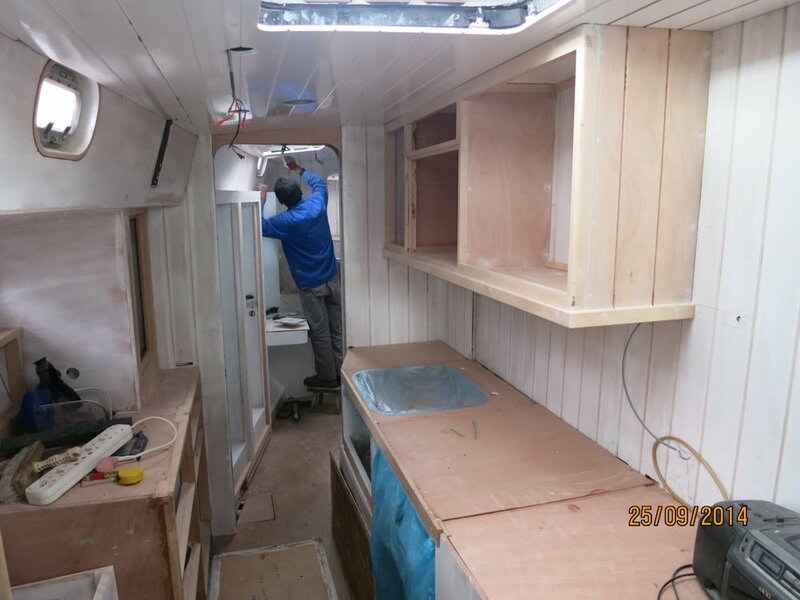 The interior woodwork (under protective cover) was completed at Englishman Marine. 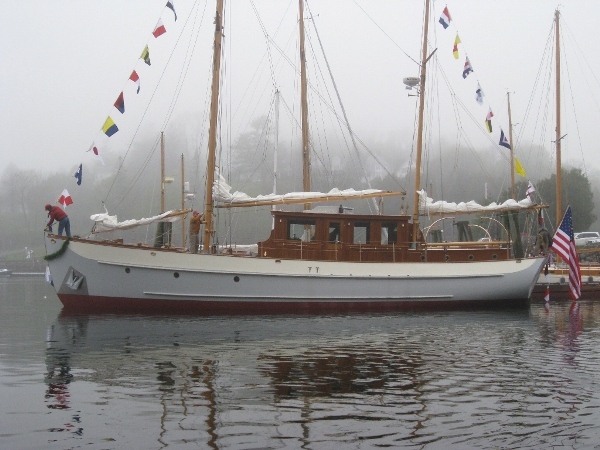 On this misty May afternoon, Rockport Marine launched the fully restored Alden motorsailer Trade Wind. The world is a better place with such beautiful craft filling its harbors. Well done. A classic yacht needs a classic tender. 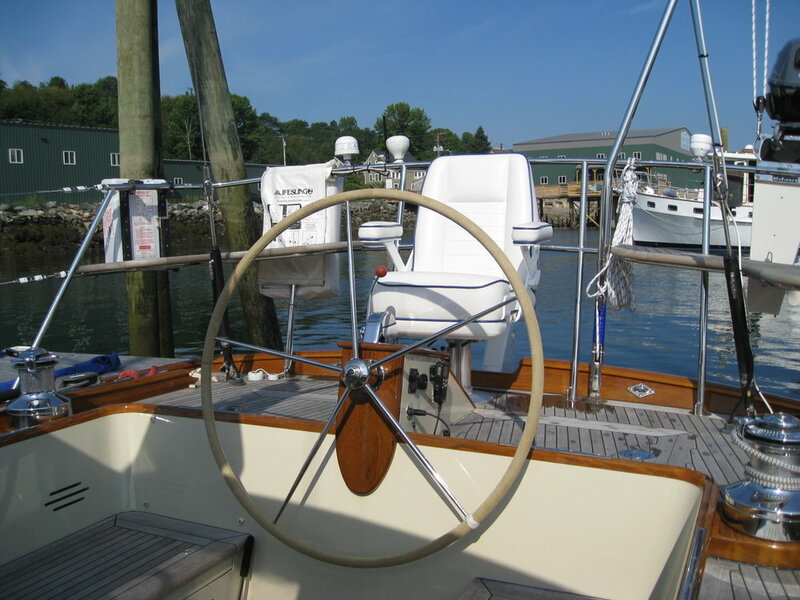 The inimitable Art Paine has written an excellent review of the Muscongus Bay 18 in the May 2011 issue of Maine Boats, Homes and Harbors magazine. To read it, click on the link below.